Welcome! We’re delighted you are considering a stay at the Auckland Airport Kiwi Motel. You’ll be pleased you did – Auckland Airport Kiwi Motel located within 5 km to Auckland Airport and 17 km to Auckland City. Auckland Airport Kiwi Motel is the perfect choice for your accommodation needs to catch that early flight, stay after a long flight or visit friends or relatives near Auckland Airport and Manukau. From Airport transfer to making sure you receive a hassle – free stay. Our Room Rates are exceptionally competitive and represent true value for money. Set in a peaceful , sunny courtyard lawn area creating a “world-away” ambiance and enjoyment. All amenities and great facilities are at your disposal and contentment. At Auckland Airport Kiwi Motel, we are committed to providing you with a comfortable and inviting place to stay, as well as customer service that’s all about your satisfaction. 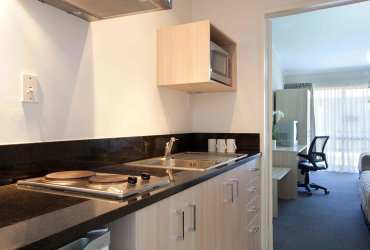 On offer is a range of delightful studio rooms and family rooms. We are committed to providing you with a comfortable and inviting place to stay, as well as customer service that’s all about your satisfaction. We are fully equipped with a wide range of facilities to ensure your stay is pleasant and restful. Tea & Coffee Making Facilities in rooms, Bar Fridge, Microwave, Cook top, Cutleries, Pots, Dishes. Stay connected with our free WI-FI with SKY service and variety of other comforts to help you enjoy your stay. Room Services – 24 hr Help Desk – Safe Deposit Box – First Aid – Smoke Alarms – Kitchenette Services. View our featured and recommended rooms. 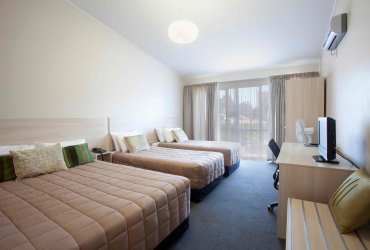 The Classic Studio Motel rooms at Auckland Airport Kiwi Motel have been designed as an alternative to hotel rooms. 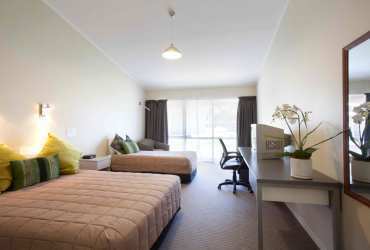 Our Premier Studio Rooms at Auckland Airport Kiwi Motel are exactly what they are described as. Our Executive Family Rooms are great for those looking for a new, clean and affordable room 5 minutes from the airport and do not want the expense of getting 2 rooms. View our group partners for more accommodation options. Welcome to Auckland Airport Kiwi Motel.